ST. GEORGE — An Ivins woman was arrested Monday after her husband was treated at the hospital for a drug overdose caused by a spiked drink, police say. 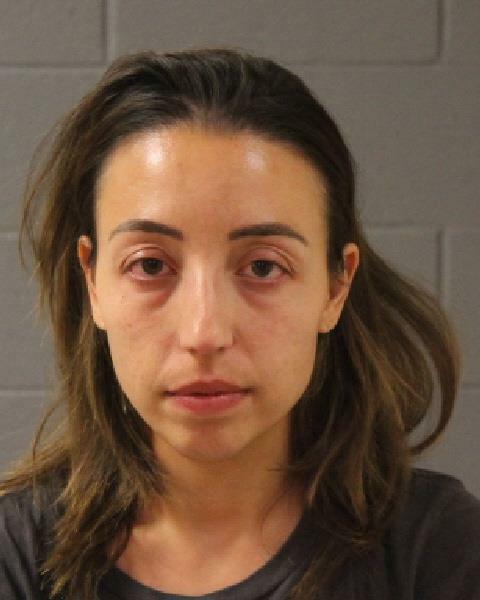 Sarah Nasrene Cooper, 29, of Ivins was arrested after allegedly spiking her husband’s wine with Tylenol and sedatives Sunday evening. Cooper was charged in court documents with one count of surreptitious administration of a substance, a second-degree felony, and is being held at Purgatory Correctional Facility on $10,000 bail. Cooper allegedly crushed seven Extra Strength Tylenol tablets, along with more than 10 two-milligram alprazolam pills – an anti-anxiety medication commonly known as Xanax – and mixed the powder into a cup of wine that she served to her husband, according to the probable cause statement in support of the arrest. Police say Cooper gave her husband the mixture without his knowledge and he was treated at Dixie Regional Medical Center shortly after ingesting the drink, Santa Clara Ivins Police Sgt. Jaron Studley told St. George News in an email. Cooper admitted to police that she crushed the pills and put them in the wine before serving it to her husband, claiming “she wasn’t trying to hurt her husband,” but was only trying to “make it so she didn’t have to deal with him” that night, according to the statement. Police also spoke to Cooper’s husband who told them that right away he noticed that the wine tasted “funny” and noticed “white chunks and powder mixed in with the drink” before pouring the remainder of the mixture down the sink, the statement reads. Shortly afterward, “the husband became ill and was transported to DRMC where he was treated for overdose symptoms,” Studley said. During a search of the residence, detectives found an empty bottle of alprazolam in the trash that appeared to have a white powdery residue on the bottom of the bottle, according to the statement. Police also located a plastic baggie containing what appeared to be crushed pills. Cooper, who was scheduled to appear Tuesday in the 5th District Court, remains in jail at the writing of this report. Court documents do not indicate whether she is currently represented by an attorney. 10 xanax? Was she trying to put him to sleep, or put him in a coma? Don’t get on her bad side! she was probly just trying to calm him down from his heroin withdrawls. couple of real gems i’m sure. There you go folks another one of Prophet Bob know it all comments…isnt he amazing folks ! TEN alprazolam and Tylenol….was she trying to sedate an elephant? anybody need a babysitter ? Did your mom make you get a job yet? She is really getting tired of you just taking up space in her basement. Get off the dope and go put some applications out there.